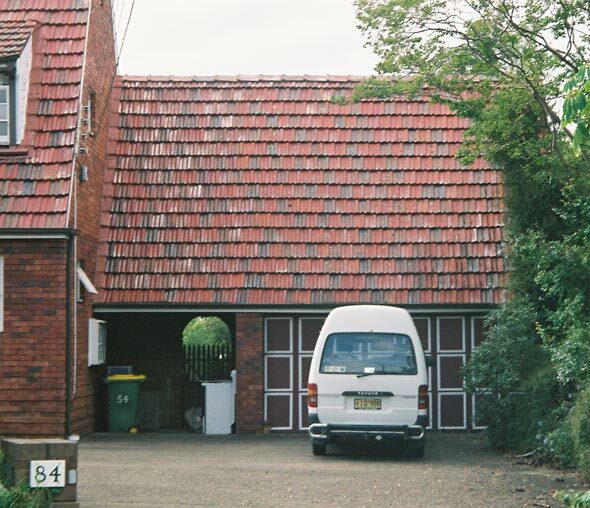 Do you like our East Bettington Road, Oatlands, roof? And that’s just for the garage. 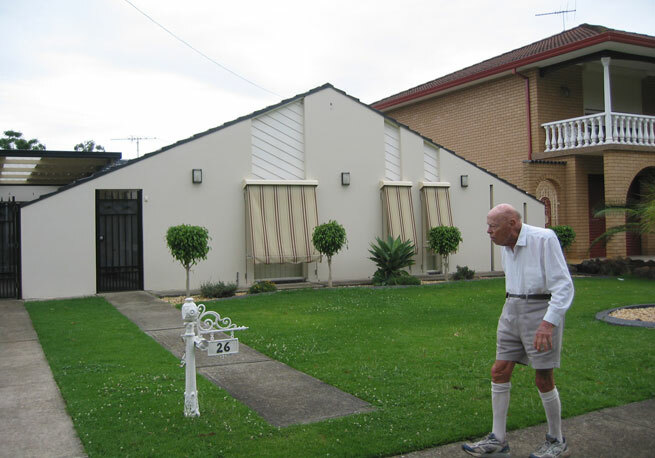 Make your house stand out from your neighbours. 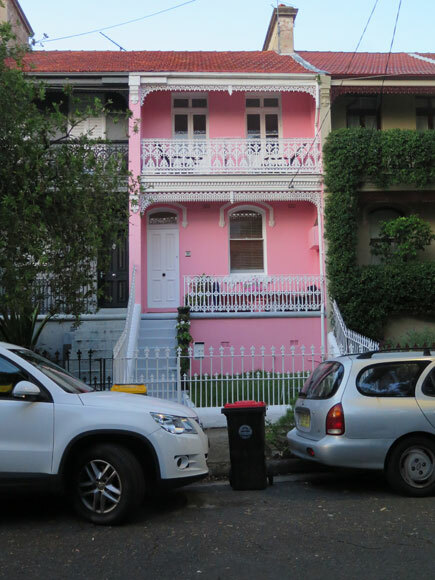 Olive Street, Paddington, shows how – use pink. If you like both camping and comfort, why not combine the concepts? 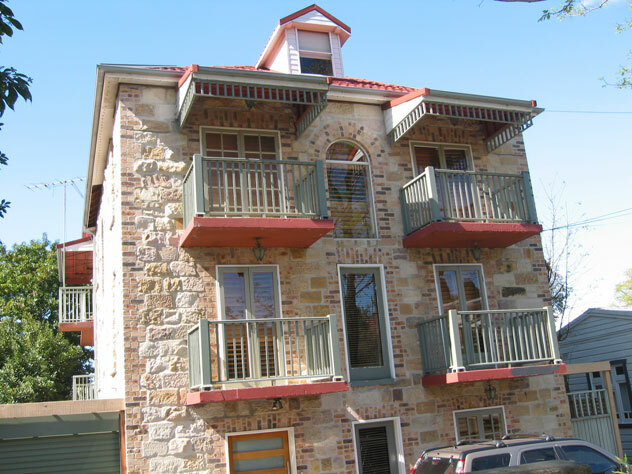 O’Meally Street, Prairiewood, shows how. Pierce Close is typical Prairiewood. 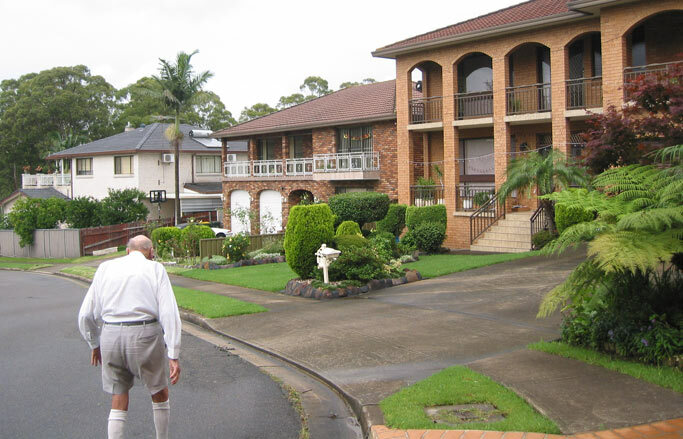 Almost the whole suburb is houses like these, accompanied by perfectly-manicured lawns and colour-bursting gardens. But the suburb’s name is an oxymoron, isn’t it? Just like Hillsdale. I'll serve wide to Fred's forehand. He'll tumble off the edge and I'll be the new champion of Waterview Street, Putney. I know that Mitchell Street, Putney, has good views, but does your house there have a balcony? Princes Street was badly affected by the recent Putney earthquake. 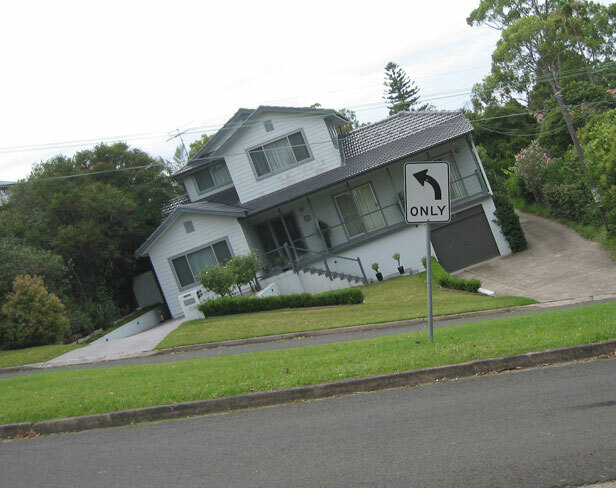 See this house before it topples over completely. Click here for further earthquake coverage. It’s a fashion faux pas to have a dress that’s identical to someone else’s. 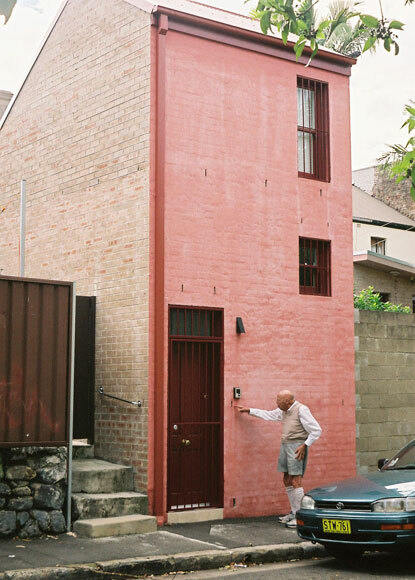 Well, it’s not going to happen with our house in Little Mount Street - a tiny, hidden lane in Pyrmont. 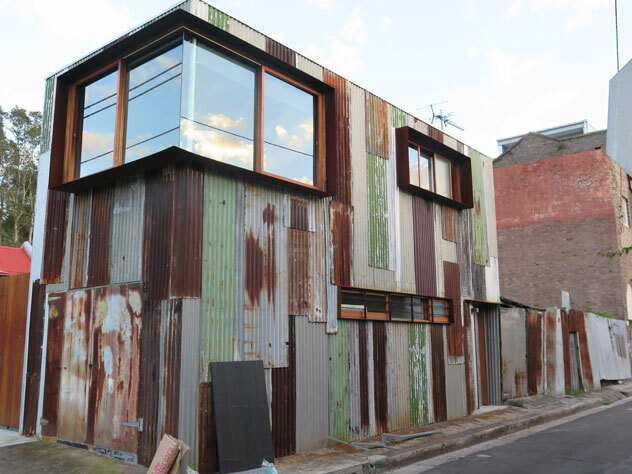 The shed on the corner of Zaia Street and Baptist Lane, Redfern, is now a renovated two-bedroom home inside while maintaining the exterior.